Found 70 blog entries for May 2016. 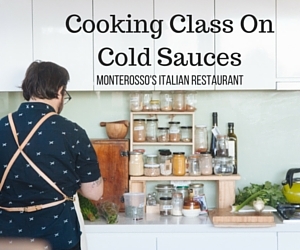 Monterosso's Italian Restaurant is asking for the public's participation at Cooking Class on Cold Sauces, which will be held on June 12, 2016. The class will begin at 5:30 p.m. Monterosso's Italian Restaurant is situated at 1026 Lee Boulevard, Richland, WA. 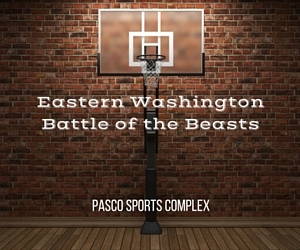 Les Schwab Tires and the City of Pasco are calling on all basketball fans to be a part of the Eastern Washington Battle of the Beasts which is set on the 11th and 12th of June 2016. Eastern Washington Battle of the Beasts will run from 8:00 a.m. until 8:00 p.m., and will be held at the Pasco Sports Complex, 6200 Burden Boulevard, Pasco, WA, just beside the GESA Stadium. Please visit the Exposure Basketball Event's website for more details. The Eastern Washington Battle of the Beasts is regarded as the most awaited 3 on 3 tournaments in Eastern Washington. This sports event will feature a series of competitions for boys and girls and for all teams. The Bin 20 Wine Bar and Restaurant and Gordon Estate is inviting everyone to a special dinner which is set on the 9th of June 2016. The event will start at 5:30 p.m. and will wrap up at 9:30 p.m., and will be held at the Bin 20 Wine Bar and Restaurant, Red Lion Hotel, 2525 N 20th Avenue, Pasco, WA. 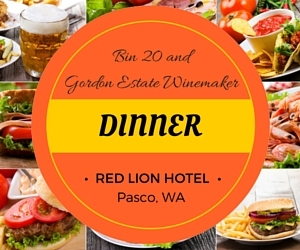 Check out the Gordon Estate Winemaker Dinner Facebook page for more details. The Date Night at the Pointe event will be held on the 10th of June 2016 at 7:00 p.m. For this edition, the Port of Pasco is set to present the movie 'Pitch Perfect 2' at Port of Pasco Osprey Pointe Commons, 1110 Osprey Pointe Boulevard (Ainsworth St./Oregon Ave. Intersection). 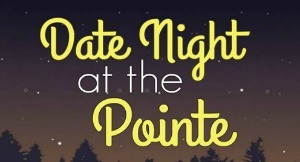 Please check out 'Date Night at the Pointe' Facebook page for more details. Date Night at the Pointe is an event most appropriate to individuals 16 years old and above. It's a great venue for friends and sweethearts to bond. This part of Pasco is a dreamy place which emanates romance and relaxation. It's right next to the river which makes the atmosphere more loveable. 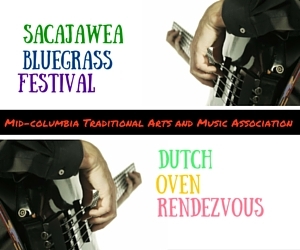 Join the Mid-Columbia Traditional Arts and Music Association as it hosts the Sacajawea Bluegrass Festival and Dutch Oven Rendezvous on June 10, 11 and 12, 2016. This event will be held at the Sacajawea State Park, 2503 Sacajawea Park Road, Pasco, WA. Kindly visit MCTAMA's website for more details. 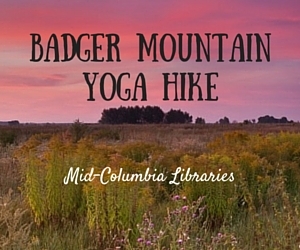 The Mid-Columbia Libraries is calling on all fitness buffs and those who wish to indulge in the beauty of the Badger Mountain to join the Badger Mountain Yoga Hike event which will take place on the 4th of June, 2016. This health-enhancing gathering will be at 9:00 a.m. until 11:00 a.m. Check out Mid-Columbia Libraries' website for more details. Participants are advised to come to the Badger Mountain Trail Park at 9 a.m. to meet with the group of hikers who will walk their way up to the top of Badger Mountain. Enjoy the view and have a chit-chat with new friends you will meet along the way. A quick yoga session with 11Exhale will follow at 9:00 a.m. Get relieved from stress and lose some pounds! 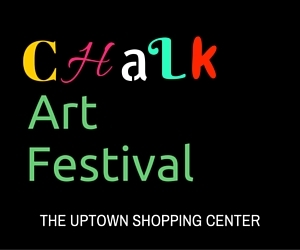 The Chalk Art Festival will once take place at The Uptown Shopping Center this coming June 11, 2016. The Chalk Art Festival will be from 9:00 a.m. until 4:00 p.m. Uptown Shopping Center is located at 1317 George WA Way, Richland, WA. The Chalk Art Festival is a fun art event for both the little ones and grown ups. Using chalk as a medium, participants will create their masterpiece. These artworks will be judged by some criteria. The winners will receive special prizes. The awarding ceremony starts at 4:00 p.m. 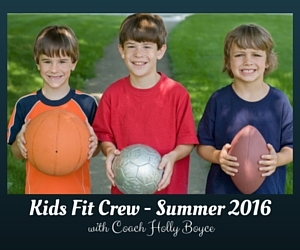 Kids Fit Crew - Summer 2016 is an event hosted by Holly Boyce. This program will begin on the 13th of June, and will be held at the Badger Mountain Park at 9 a.m. on Tuesdays and Thursdays and at ATeam cross fit building in Pasco, WA at 10:45 a.m. on Mondays and Wednesdays. Please visit the Kids Fit Crew-Summer 2016 Facebook page for more details. 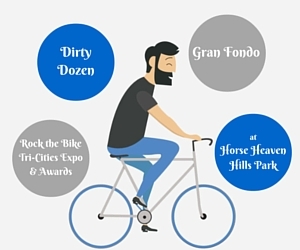 Dirty Dozen is calling on all bike enthusiasts to join the Gran Fondo and Rock the Bike Tri-Cities Expo and Awards which will take place on the 11th of June, 2016. This Dirty Dozen event will be held at the 3106 S. Yelm Horse Heaven Hills Park, Kennewick, WA. Kindly visit the Dirty Dozen's website for more details. Mid-Columbia Mopar will be hosting its 32nd Annual Show N' Shine Car Show on the 11th of June, 2016 at the Howard Amon Park in Richland, WA. Registration for the 32nd Annual Show N' Shine Car Show will run from 9:00 a.m. until 12:00 noon and the big event will immediately follow. Please visit Mid-Columbia Mopar's website for more details. 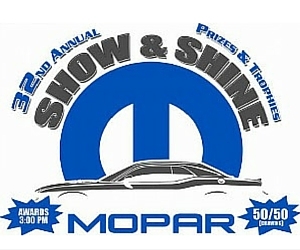 Mopar is pleased to host another great event that will surely delight all car enthusiasts. Interested parties are advised to bring in their modern challenger, charger jeep and all other makes and models of vehicles which they think are worth putting on display at the 32nd Annual Show N' Shine Car Show.